Welcome to a new Daily Turismo feature: The Twister, a quiz with a twist. We find some random object on eBay/craigslist/Petco.com and you get to figure out how to make it better. 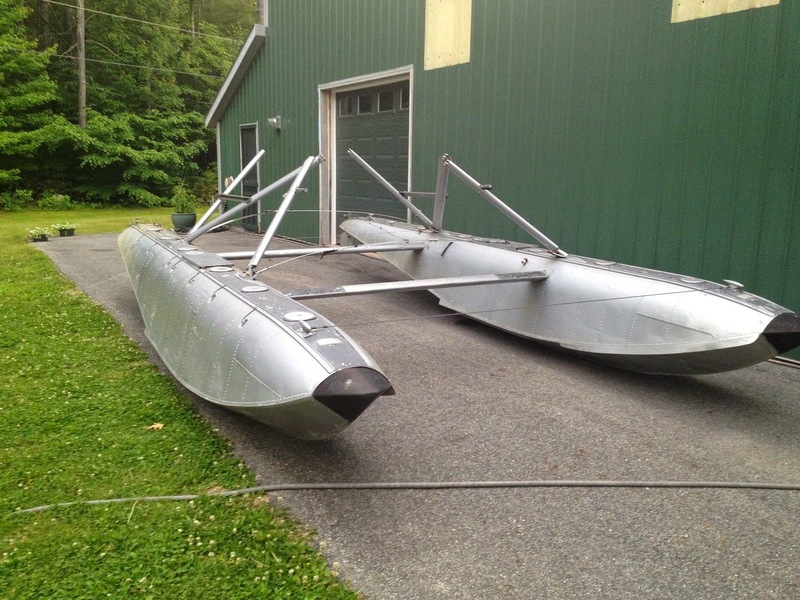 Today's twister subject is a set of used Canadian Aircraft pontoons offered here on eBay for $3,500 buy-it-now on eBay. These are Canadian in the sense of the company Canadian Aircraft Products Ltd and they were made in Vancouver, B.C., Canada. This is great, because you start with two of them, so after you've mangled the first in some kind of botched whiskey distillery, you've got one left over to create the ultimate land speed car. 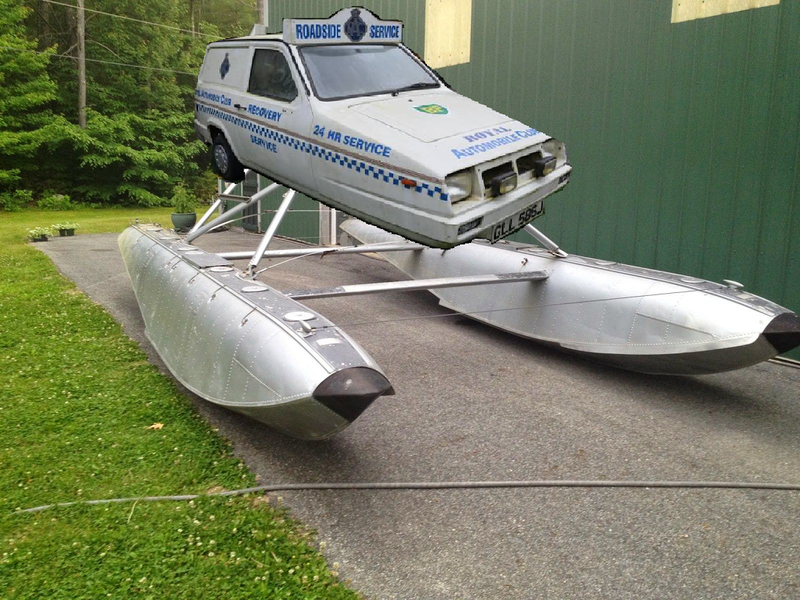 I sketched out a quick idea of what I would do with one of these pontoons...but the end product looks like something Bananas Gorilla will drive into Scarry Town lake. Somehow, this always happens with my hand drawings...but that is a story for another time. The basic concept uses some kind of longitudinal front drive engine/transaxle in the back (maybe an Audi UrS6 turbo 5?) and will require some significant structural backbone chassis. What would you make out of this? Comments below. Submit drawings/images/schematics/provisional patent applications to tips@dailyturismo.com and I will append them to this post. 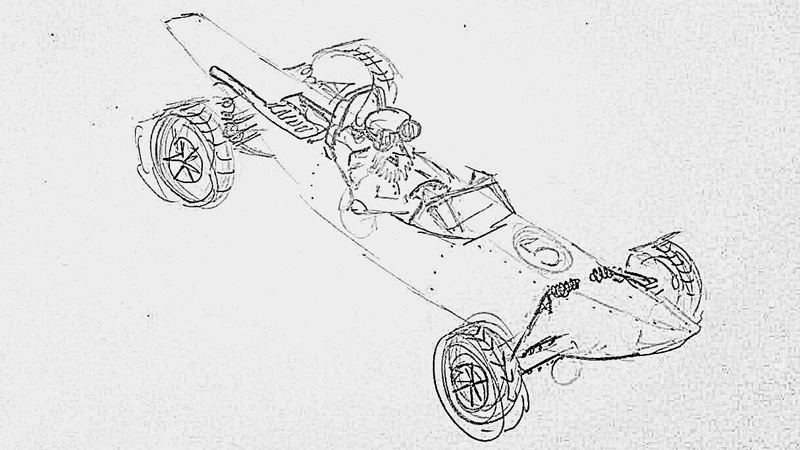 Updates: Kaibeezy submitted this awesome Capodri Racer concept. Next up is the 2C-Volante from Bobinott. And a Reliant Robin from Gianni. The perfect contraption for one who owns a small island on a lake. 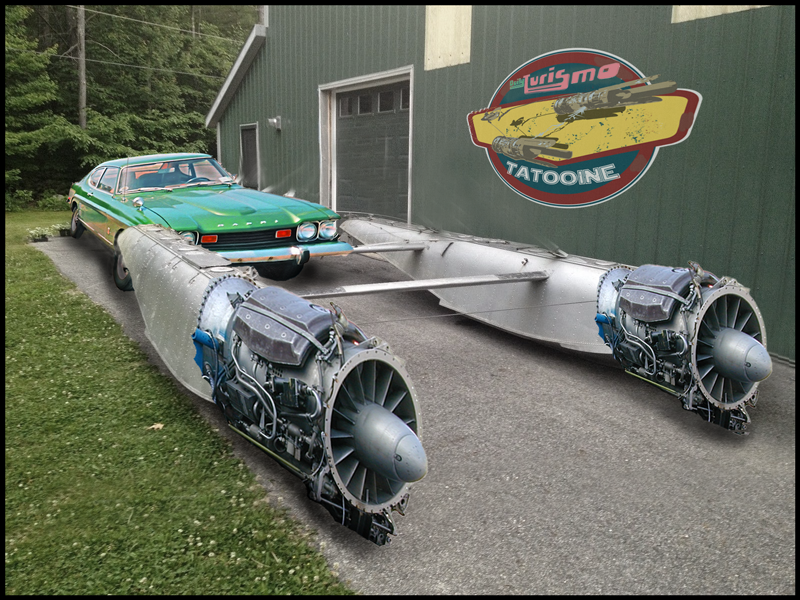 Drive your rwd car right onto the pontoons which feature a dyno type system hooked to a propeller. The front wheels are sitting on a rudder type design. Untie, drive like normal until you are home. Then drive off right to the front door and unload your stuff for the weekend. 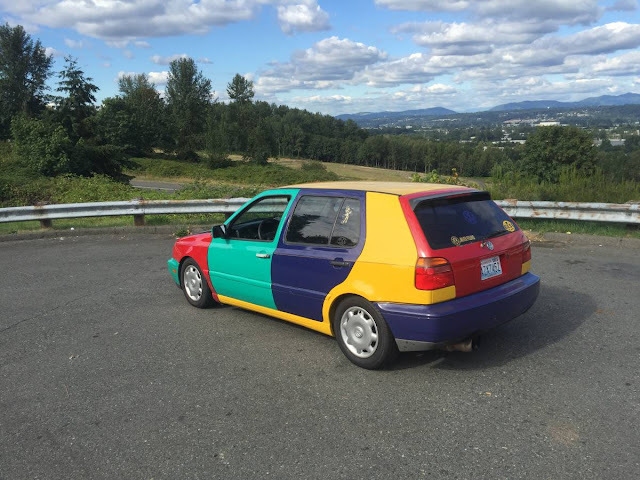 Pretty sure I saw that episode of Top Gear. Here is my suggestion . And yes, it was real . (The audio portion is in French, but the images are in English :-) ). The engine was from a Panhard Tigre. Add a Chevy 350 to it. 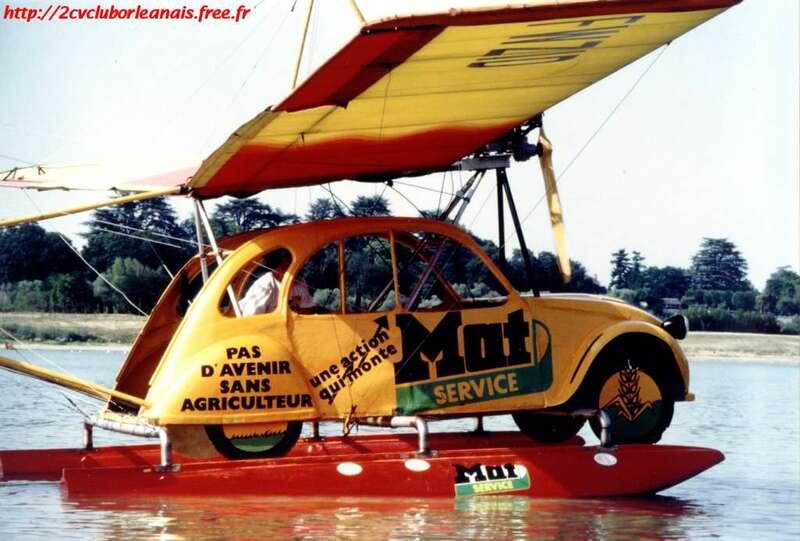 I think a VW beetle body with an outboard in the rear engine compartment would be a blast. Honey honest if you'll just let me get this I'll never be upside down on a car project again, ever!! That's a great deal on a set of floats for a set of straight floats for a Cessna 180/185. That listing could be a lot better, and they would probably have better luck on barnstormers.com then eBay.